As I hope you know by now, New Ways Ministry will be hosting its Eighth National Symposium, “Justice and Mercy Shall Kiss: LGBT Catholics in the Age of Pope Francis,” on the weekend of April 28-30, 2017, in Chicago. Thus, it seems an appropriate time to turn our clocks back 25 years and look at the Third National Symposium, back in March 1992, which also took place in Chicago. 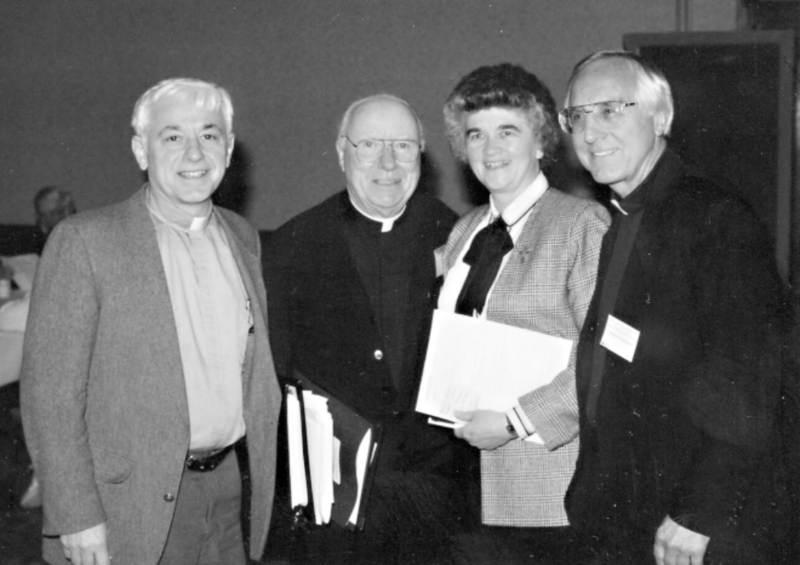 The Third National Symposium was historic in that it was the first time that three Catholic bishops came to a forum to speak about what was then understood as lesbian and gay issues in the Church. Bishop Thomas Gumbleton, auxiliary of Detroit, Bishop William Hughes, diocesan bishop of Covington, Kentucky, and Bishop Kenneth Untener, diocesan bishop of Saginaw, Michigan, all were there to present “his viewpoint on the pastoral reality of the church’s ministry to members of the gay and lesbian community, ” according to a news report by Ed Stieritz, printed in the April 5, 1992 edition of The Messenger, the Catholic newspaper of Davenport, Iowa. “We need to take seriously the evaluation that homosexuality is a complex question, yet I do not believe we always do. We have to be careful not to make life too simple. The Pharisees made that mistake. They made religion very complex, but treated life as though it were simple. They had complex rules about what one could or could not do and thought these could apply very simply to life. The complexity of their religious formulations took care of everything, and the rest, they thought, was simple. 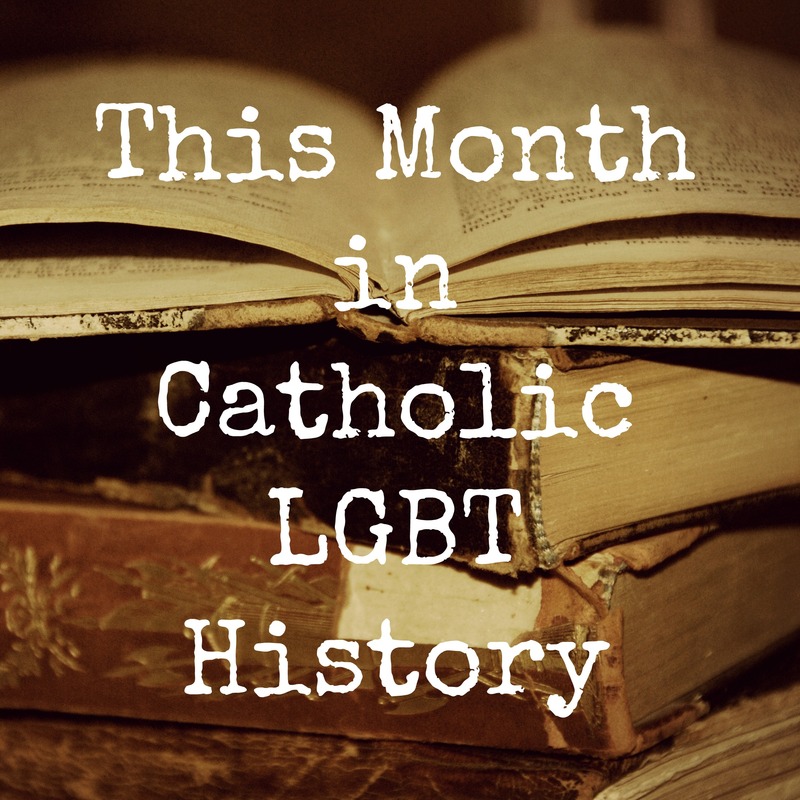 The Third National Symposium was an exciting event at a time when lesbian and gay issues were just being brought into the mainstream of the Catholic Church’s life. The upcoming Eighth National Symposium promises to be just as exciting. In fact, Bishop Gumbleton will again be at the meeting to share his powerful reflections with the participants. And although Bishop Hughes has since passed on, another Kentucky church leader, Bishop John Stowe, OFM, Conv. will be there to offer inspiration. For more information and to register, visit www.Symposium2017.org. Register before March 27th to avoid paying an additional $50 late fee. I agree with Bishop Untener. In the end, we will be judged by how we treated each other. The Messenger is the diocesan paper of the Diocese of Covington, Bishop Hughes home diocese, not Davenport, Iowa as noted in the post.